It’s been just over a week since the most recent OpenStack Summit ended and the word that comes to mind when I reflect on the week that just past is “boring.” And that is a good thing. This is not to say there wasn’t exciting news such as new customer use cases, more container talk, and controversy, such as the future of OpenStack as a platform for cloud-native applications vs. as a platform for traditional applications. But what you didn’t hear much talk about were questions about the viability of OpenStack as a project. The assumption was that OpenStack is here to stay and the real question is how to continue growing the project to make it a more widely used platform. Other signs that pointed to the “boring” stability of the OpenStack project included the announcement of a new professional certification program by the OpenStack Foundation. The creation of a vendor-neutral certification is typically associated with a stable technology and speaks to the growing demand for IT professionals with verifiable OpenStack skills. 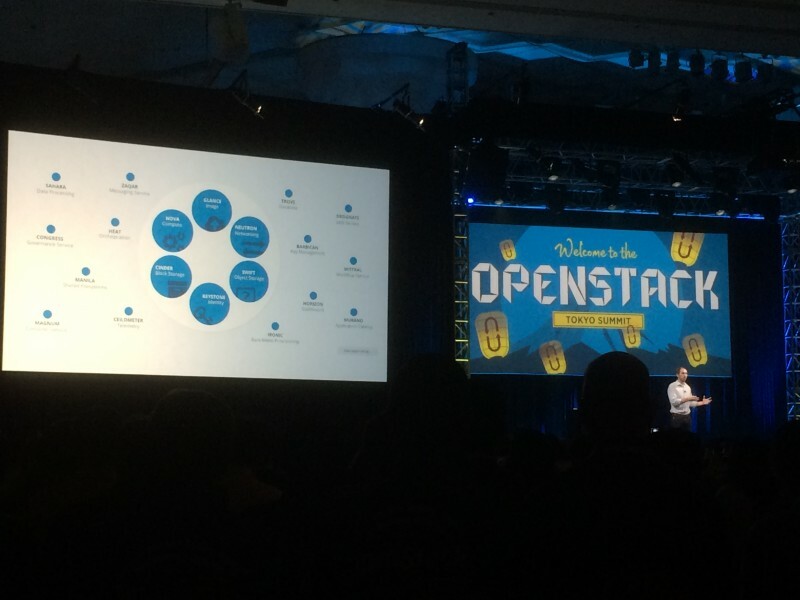 I was also encouraged to see the number of startups and new cloud providers who are now part of the OpenStack ecosystem. There have been those who looked at the recent consolidation of players in the ecosystem and concluded that OpenStack would be dominated by established vendors such as Cisco, HP, IBM, and Red Hat. What was in prominent display at Tokyo, however, was a new generation of OpenStack vendors. They included new startups such as the company I work for, Platform9, and new entry, ZeroStack. But in the expo hall, you also found a number of Asia-based cloud providers, big and small, who use OpenStack as their cloud platform. A common theme among the startups and the cloud providers was a focus on providing OpenStack as a managed service, either as a managed private cloud or as a public cloud. This aligns well with the perspective that Platform9 has had from the beginning – that managed services is the best way to consume cloud in general and OpenStack in particular. As for Platform9, it was a great summit for us and an opportunity to not only talk about our company, but to be more engaged with the OpenStack community. It was our second summit with a booth and we were able to have a number of fruitful discussion with users as well as vendors in the ecosystem. As another step towards being contributing members to the OpenStack project, a number of our engineers were able to participate in various design summit discussions. It was also the first summit where Platform9 had the privilege of presenting to the community in various breakout sessions. You can find the details and videos for the Platform9 breakout sessions below where we had the opportunity to talk about how we built our OpenStack solution and what we want to contribute back to the community. In addition to the breakout sessions, one of our founders, Roopak Parikh, was interviewed for a segment on a new OpenStack Foundation initiative called Superuser.TV. Tune in here to hear Roopak talk about the challenges and benefits of running a startup that is part of the OpenStack ecosystem. Personally, I had the privilege of conducting several interviews on behalf of Superuser.TV and also speaking at several breakout sessions as an OpenStack community member. You can find the details and videos for those sessions below.